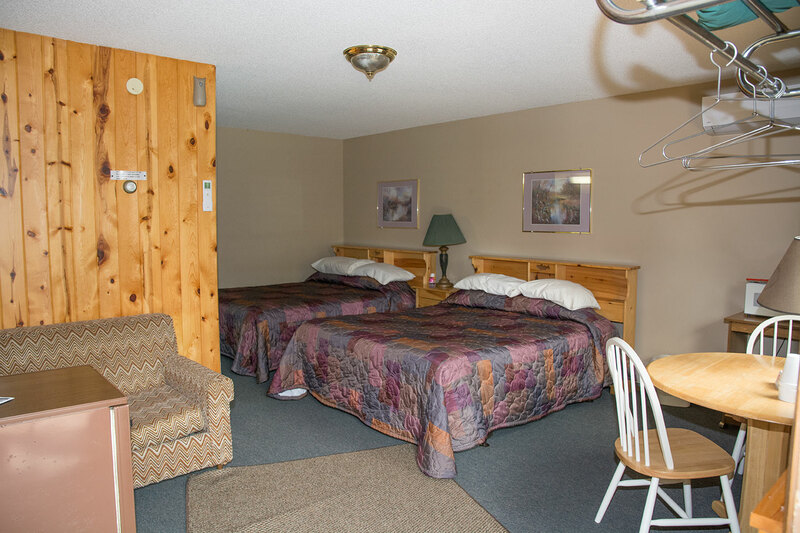 Motel Unit #4 is a clean and comfortable second-floor unit with 2 queen beds that sleep up to 4 people. 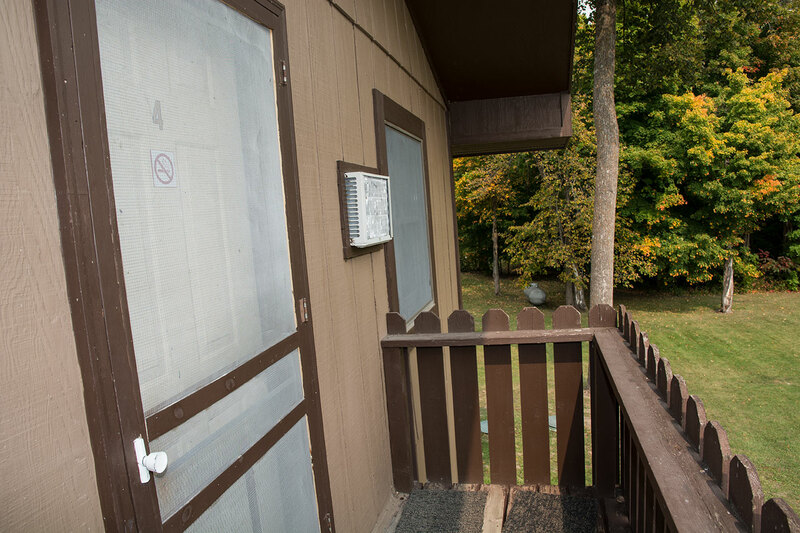 This unit has a microwave, refrigerator, coffee-maker with complimentary coffee, wi-fi and cable TV. 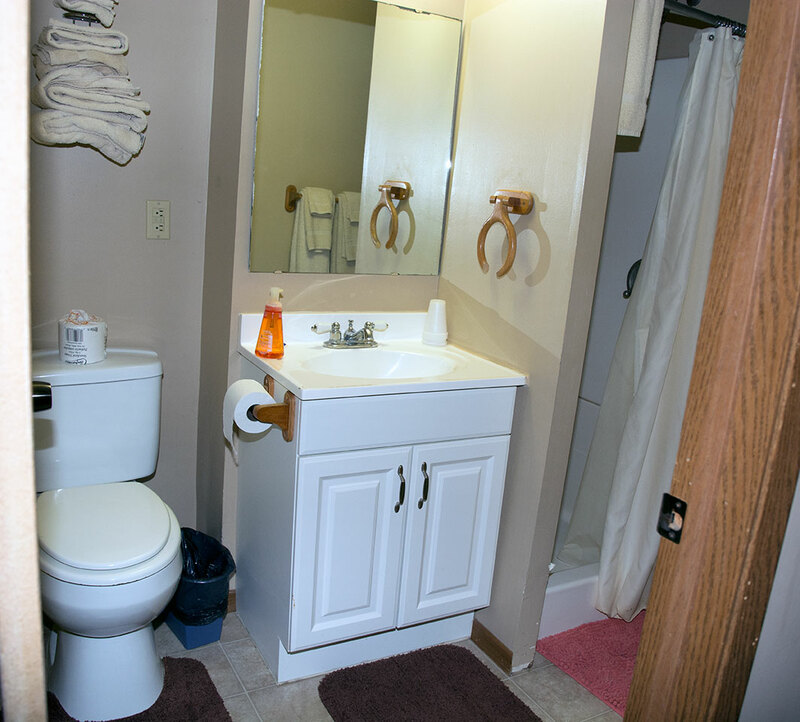 The bathroom has a shower; and all linens, towels, wash cloths and hand soap are provided. 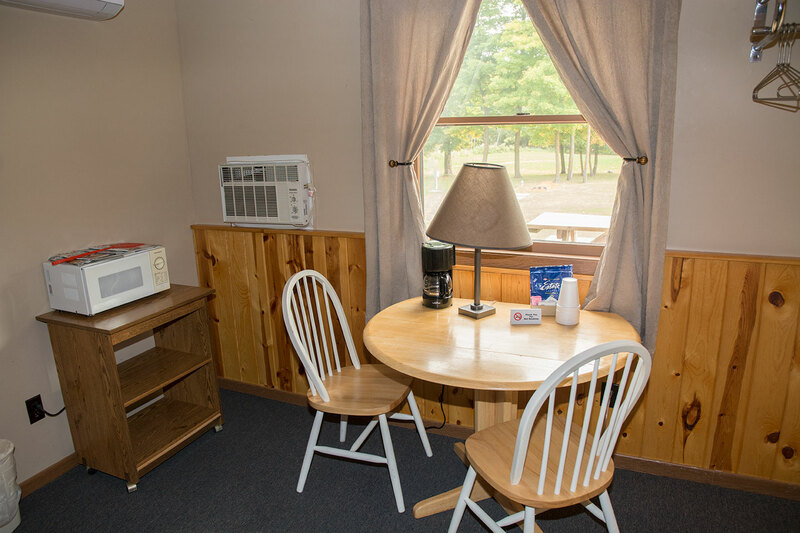 Ample parking is provided and convenient outdoor electrical outlets are available in the parking area for charging batteries or plugging in vehicles on cold winter nights. 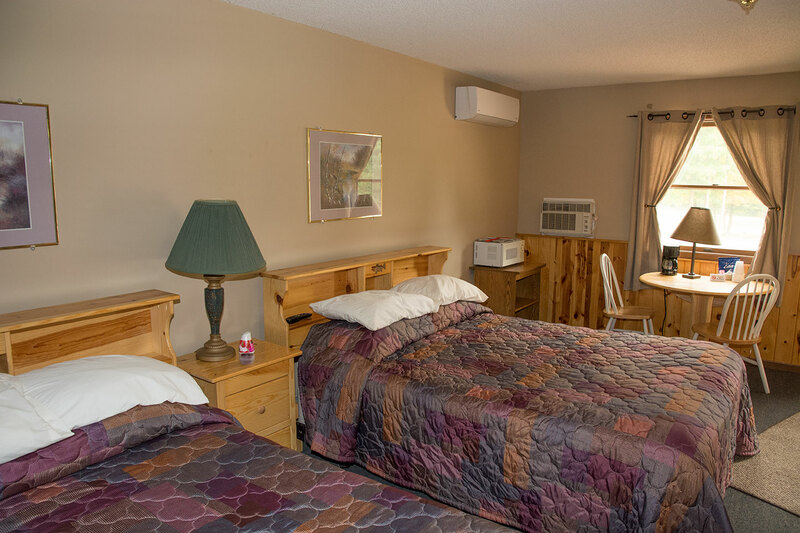 All lodging units are complete with bedding, linen and towels. 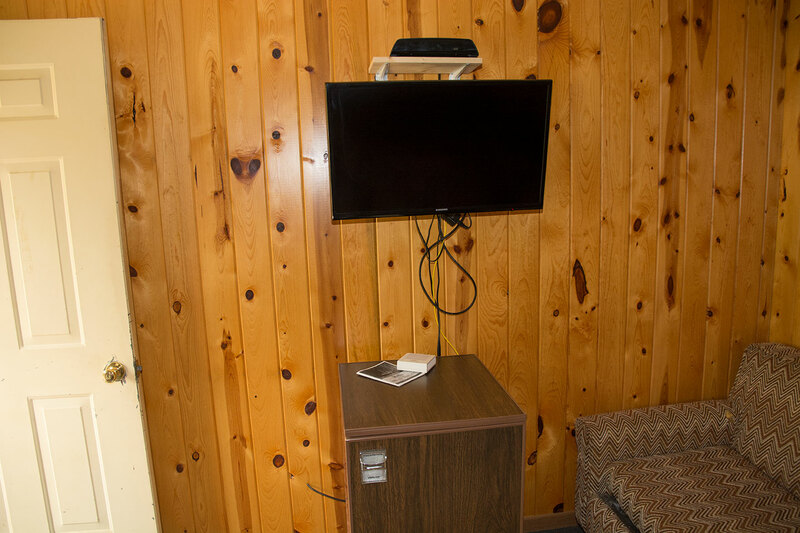 All lodging units have air conditioning, cable TV and wi-fi. Ample parking is provided. Outdoor electrical outlets are also provided in the parking areas. All reservations must be guaranteed with a valid credit card or advance deposit. Major credit cards accepted. Cancellations made 10 days or less prior to arrival date will be charged a single night’s cancellation fee. Cancellations must be made via telephone at 218-659-9220. Cancellations made less than 24 hours prior to arrival date will be charged the entire reserved stay length. Pets: Pets are allowed with advance permission and $25 pet fee. An $80 pet cleanup fee will be charged if management determines it is required. 6.875% MN state sales tax apply to all charges.